Two young pitchers who have taken advantage of teammates' injury-related misfortunes hope to continue their impressive seasons Friday night when the St. Louis Cardinals and San Francisco Giants continue a four-game series. [post_ads]The Cardinals bombed the Giants' Johnny Cueto in his return from the disabled list in Thursday's series opener, scoring early and often in an 11-2 romp. Cueto's return sent Derek Holland to the bullpen, where he was used in a mop-up role after the Giants had fallen behind 9-0. The Giants also are expecting another of their core starters, Jeff Samardzija, to be reinstated from the DL on Saturday, meaning another of the pitchers who helped keep the club afloat amid key injuries either will be moved to the bullpen, demoted to the minors or even released. Rookie right-hander Dereck Rodriguez (3-1, 3.16 ERA), having gotten a vote of confidence when Holland was the first to lose his job, will pitch Friday with additional pressure on him. Ivan Rodriguez's son has handled everything major leaguers have thrown at him, allowing three or fewer runs in six of his seven starts. Rodriguez will have to deal with a Cardinals lineup that's been scorching at the plate while going 3-1 to open a nine-game trip. Jedd Gyorko ruined Cueto's return early Thursday night with a three-run homer in the first inning. He's gone 6-for-15 with two doubles, two homers, seven RBIs and three runs scored in the four games. Yadier Molina, who had three singles Thursday, homered twice during the Cardinals' two-of-three success at Arizona. The Cardinals also welcomed back Dexter Fowler from paternity leave Thursday night, but couldn't find a spot for him in the starting outfield amid Tommy Pham, Marcell Ozuna and Harrison Bader, who combined for seven hits in the series opener. 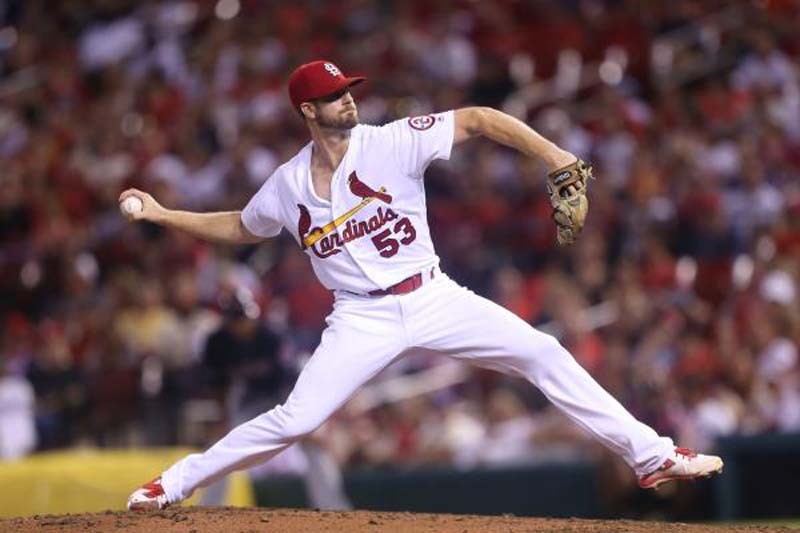 Rodriguez will be opposed by Cardinals right-hander John Gant (2-3, 3.92 ERA), who has filled in admirably while St. Louis has been without Michael Wacha, Alex Reyes and Adam Wainwright. But the 25-year-old couldn't duplicate his success in his most recent outing, having allowed four runs in 5 1/3 innings in a 6-5 loss to Atlanta last week.